 The Kitsap Building Association is an association of builders, subcontractors and related service providers representing the home building industry, its members and its consumers. The association provides information, education and services to the membership and a unified voice on legislative issues affecting the industry and the availability of safe and affordable housing for all. Provide sources of economic benefit to further enhance the success and stability of the member’s business. Remain the leading educators and facilitators of environmental awareness within our industry. Be recognized as an organization that promotes responsible use and management of natural resources. Remain a pro-active, positive influence in the legislative and regulatory arena.